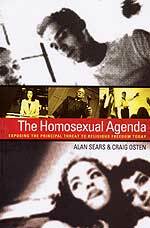 Subtitle: As American "experts" debate whether to legalize and consider normal homosexual practices which have always been considered totally reprehensible, the question arises - "How did we get in this mess"? The answer just might surprise you because the process is largely invisible. INTRODUCTION -- HOW DID WE SLIP INTO THIS ABYSS? In NEWS1949, we reported that the American Psychiatric Association has argued that Pedophilia, Exhibitionism, Fetishism, Transvestitism, Voyeurism, Sadomasochism, and Gender-Identity Disorder be taken out of mental illness category and be declared normal! How can this be, you protest, for America's laws have always been based upon Judeo-Christian values? As the full horror of legalizing these terrible sins continues to unfold in your mind, you will no doubt realize that, once Pedophilia is legalized, your precious, innocent young children are legal game for predatory homosexuals. Our society will quickly fall into the moral abyss itself once these awful maladies are legalized. How did we get into this predicament? To understand how America could have gotten to the position where "experts" with academic letters after their name are actually arguing that these sins from Hell be legalized, you have to realize that the progress toward this point has taken decades -- at least four decades. Further, the process of this progressive journey has proceeded so gradually that the plan propelling this change has been rendered virtually invisible. Finally, as our society comes to the last step in this invisible plan, the people whose minds have been changed will not only fail to recognize that their attitudes and values have been deliberately manipulated, but they will vociferously insist that they arrived at these attitudes and values wholly on their own! This gradual, almost invisible, plan to change the attitudes and values of an entire population is known as the "Six Step Attitudinal Change Plan". To begin our journey, let us go back to the feature article of NEWS1949, so we can review a portion of this news article we did not use. "It's a measure of how low the psychiatric establishment has sunk, that it would even debate the idea that pedophilia, transvestitism, and sado-masochism could ever be expressions of true human flourishing." When this NARTH expert notes that "It's a measure of how low the psychiatric establishment has sunk", he is referring to a process that has reached a certain point in its journey. The fact that he considers this point to be a very low moral position is interesting and valid, but misses the point we want to make, i.e., that this statement takes note of a special point of descent which has finally been arrived at during a journey. This journey is known as the Six Step Attitudinal Change Plan and the step at which NARTH has noted that we have arrived is Step #6 in this six-step plan. Let us now review what this six-step plan is, how it works, and how our society has arrived at Step #6, in preparation for its full implementation. This insidious method of changing the deeply-held attitudes of people is being successfully directed toward the American population as a whole. 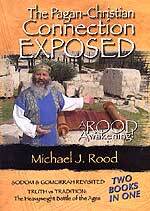 Millions of people are experiencing attitudinal changes on a wide variety of subjects today. This attitudinal change is essential to achieving the New World Order. For years now, we have been warning the Christian community that Gays were very, very serious about changing the attitudes and values of enough Americans so they could openly live their lifestyle without fearing any recriminations. To accomplish this goal, the Six Step Attitudinal Change Plan was being utilized in a classic manner to quietly, invisibly change people's attitudes and values to the point where they would accept the Gay lifestyle as normal without realizing they had been manipulated! We Christians who oppose homosexuality on the basis of Scripture will be vilified as "heartless", "cruel", "narrow-minded", "bigoted", and "hate mongers". Of course, nothing could be further from the Truth, as we shall now demonstrate, from the Scriptures. Jesus Christ is the Lover of all sinners, including the sin of homosexuality. Homosexuality is a serious sin, but it may be forgiven just as any other sin. After a homosexual asks forgiveness, he then must give up the practice of homosexuality, and many people have done just that. So, we Christians are called upon to love the sinner and hate the sin, just as God does. To call us "hateful" because we speak the Truth in love is to totally miss the point, and confuse the issue with screaming, yelling, and name calling. Let us now examine how America has proceeded through the various stages of this insidious plan. Step 1 -- Some practice so offensive that it can scarcely be discussed in public is advocated by a RESPECTED expert in a RESPECTED forum. This campaign to convince Americans to accept homosexuality as a valid lifestyle began during the protests of the Vietnam War era. All sorts of sexual "inhibitions" were thrown off and discarded during this time period. Heterosexual love became "free love", much of the time in a communal setting for untold tens of thousands of people. During this time when heterosexual Christian restraints were being rejected, homosexuality silently began to surface. During the decade of the 1970's, some of the lyrics of Rock songs began to extol homosexuality. Quietly, homosexuals began to feel more free to practice their beliefs. By the late '70's, gay bathhouses began to open in such cities as New York City, Los Angeles, and San Francisco. Suddenly, it was great to be gay and many people came out of the closet. One author notes that, during this time period, some RESPECTED experts speaking from RESPECTED forums did step forward to advocate that homosexuality was both normal and Christian. Step 2 -- At first, the public is shocked, then outraged. The moral outrage came primarily from Evangelical Christians. However, much of this outrage was somewhat muted, because few believers ever thought our culture would ever, ever actually accept homosexuality. Had they known of this Six Step Attitudinal Change Plan, they might have been more aggressive in their means of fighting it. Step 3 -- But, the VERY FACT that such a thing could be publicly debated becomes the SUBJECT of the debate. During this phase, secret advocates of the gay lifestyle begin to step forward to announce that it is so wonderful that America has both the freedom and the maturity to actually debate this issue. What this step accomplishes for this invisible change agentry plan is to very slightly and subtly change the focus of the debate; instead of debating whether homosexuality should ever be openly allowed in our society, the debate is over how wonderful it is that we can actually debate this issue in a civilized society. This debating accomplishes two things: 1) It gives the gay side an appearance of legitimacy and equality with the Judeo-Christian opposition; 2) It sets up the struggle called for in Step #4. Since this attitude change agentry plan is a form of the ancient Dialectic Struggle, we are not surprised to see that the "struggling" stage is so very important for this plan to succeed. Stage #4 - Step 4. In the process, sheer repetition of the shocking subject under discussion gradually dulls its effect. The " sheer repetition of the shocking subject" occurs during the verbal, and sometimes physical, struggle gays have been continually carrying on for these past four decades. Every verbal confrontation -- whether it is physically nose-to-nose, or in some form of Mass Media, contributes to the success of this plan. Every Gay Pride rally and march contributes. The key is to keep this issue in front of the public just as often as you possibly can. The "sheer repetition of the shocking subject under discussion" gradually changes the minds of the people whose moral guidance is not absolute. These are the targets; in fact, people who do not live their lives strictly according to Biblical standards are the only ones whose values and attitudes can be changed by this six-step plan. Genuine Christians who daily live in the Bible can not be touched by this insidious, invisible change agentry plan. Step #5 - Step 5. People then are no longer shocked by the subject. I knew America was at this point when Public School curricula began to teach that homosexuality was just as normal and just as healthy as heterosexuality. We have seen this type of teaching become ever more prevalent in the past two decades. With this understanding firmly in your mind, perhaps you can understand this statistic a little more clearly. 1. Is homosexuality an acceptable alternative lifestyle? An incredible 41% of the respondents agreed that homosexuality is just as acceptable as God's ordained Hetero -sexuality. Stated another way, almost one-half of the respondents now believe Homosexuality is normal and healthy. This is one of the strongest examples possible that the Six-Step Attitudinal Change Plan regarding homosexuality has succeeded beyond any of our wildest dreams. Remember the Six-Step Attitudinal Change Plan? We devoted considerable time on this devastating subject at the seminar and created two radio programs on it last Fall. Do you remember that the key is continuous conflict between two opposing sides? Of course, the continuous conflict is amply provided in this instance by a Mass Media who is very supportive of homosexuality and who wants very badly to see American's attitudes changed. This article, plus most others seen in magazines, newspapers, and TV, are written in such a way as to cast the pro-homosexual movement as reasonable, normal, and kind, while the opposite side is ridiculed and misquoted, and made to look foolish and unreasonable. 2. Then, the blockbuster question was asked, "Should homosexuals be hired in each of the following occupations?" * 59% agreed that gays should be able to serve in the armed forces. * 54% agreed that gays should be able to be high school teachers, and 51% agreed that they should be Elementary School teachers. This response should cause Christian parents great concern, because teachers have always been role models for many of their students. We have consistently warned our listeners that public schools in America today are dangerous to our children's souls, because of the anti-Christian values being taught. Now, the pressure will build ever greater for homosexuals and lesbians to be hired as teachers in the public school system. 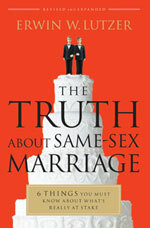 * 48% of the respondents agreed that gays should be able to serve as clergy. I cannot believe this one. The people of this formerly great Christian nation have been persuaded that ministers serving in our churches could be homosexual and/or lesbian. I shake in my boots as I contemplate the coming judgment of an Omnipotent, Changeless God. I remember that God singled out the false clergy for special judgment in the days just before He raised up King Nebuchadnezzar of Babylon as the military sword of judgment against sinful Israel. Do not be deceived, dear listener; America is guilty of the same sins and will suffer the same fate. Truly this is the final fruit of all the many years in this Twentieth Century of consistently teaching false doctrine and teaching man's wisdom in its place. Step 6 -- No longer outraged, people begin to argue for positions to moderate the extreme; or, they accept the premise, challenging, instead, the means to ACHIEVE it. Homosexuality has been accepted in America to the point now where these gay activists can come before the American Psychiatric Association to argue that the organization should change its definition as to what constitutes deviancy in gay sexual matters. These activists now have the boldness to argue what was unthinkable just a few short years ago: legalizing and officially normalizing Pedophilia, Exhibitionism, Fetishism, Transvestitism, Voyeurism, Sadomasochism, and Gender-Identity Disorder! The ravages brought about by the careful and gradual implementation of the Six Step Attitudinal Change Plan are now bearing full fruit in this country -- and in Western Society as a whole. Allowing this six-step process to percolate through our society for four full decades has now brought us to the point where this society is becoming a Sodom, just as Jesus foretold. While we shall grieve over this terrible development, and while we must act to protect our own children as much as possible, we must also realize that we are witnessing the fulfillment of End of the Age prophecy -- right in front of our eyes, in our daily news. While we are witnessing so many other prophecies coming true in our daily news, we must add this fulfillment to the list. Western Society turning into a modern-day Sodom is End of the Age prophecy fulfilled! The full implementation of this six-step plan has taken America to the point where she is a modern-day Sodom. This means that Jesus' return is close, and that the time when Antichrist shall appear on the world scene is even closer. This prophetic reality is the only silver lining in this awfully black cloud. Truly, the End of the Age is rushing upon the world. Are you spiritually ready? Is your family? Are you adequately protecting your loved ones? This is the reason for this ministry, to enable you to first understand the peril facing you, and then help you develop strategies to warn and protect your loved ones. Once you have been thoroughly trained, you can also use your knowledge as a means to open the door of discussion with an unsaved person. I have been able to use it many times, and have seen people come to Jesus Christ as a result. These perilous times are also a time when we can reach many souls for Jesus Christ, making an eternal difference. Copyright © 2004 Cutting Edge Ministries. All rights reserved. This password protected article and its contents are protected under the copyright laws of the United States and other countries. This article is provided by subscription only for use by the subscriber and all other rights are expressly reserved by the copyright owner. Copying and pasting this article, in whole or in part, into e-mails or as attachments to emails or posting it on the Internet is strictly prohibited and may subject the offender to civil liability and severe criminal penalties (Title 17, United States Code, section 501 and 506).